I know I've been so bad at posting lately but I've been super busy with everything and it was my 21st birthday too so I think I deserved a bit of a break! All that said, I'm back with another beauty post all about makeup and beauty trends for Autumn/Winter 2015. Contouring is OUT! Blush is in! It seems that contouring is no longer a trend and flushed cheeks are going to be big this season. Sculpted cheekbones have gone out the window and it seems that rosy, flushed cheeks are in. All the recent catwalk shows sported blushed, flushed cheeks that looked like they had just went for a cold, winter walk outisde. However, contouring is my best friend and I'm not gonna stop any day soon just because some designer says not to anymore. If you're like me and love pretending you have flawless cheekbones.. below are some of my favourite products for giving you those perfect, chiselled, rosy cheeks. The IsaDora Face Sculptors come with a blush, highlight and a bronzer for contour. The bronzer is extremely easy to blend, the highlighter is a beautiful natural highlight and the blushers are perfect for adding a bit of colour to your cheeks! 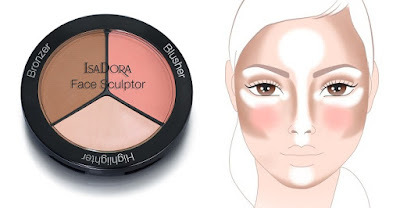 The IsaDora Face Sculptors come in a range of different shades so you can pick out which one suits you best. 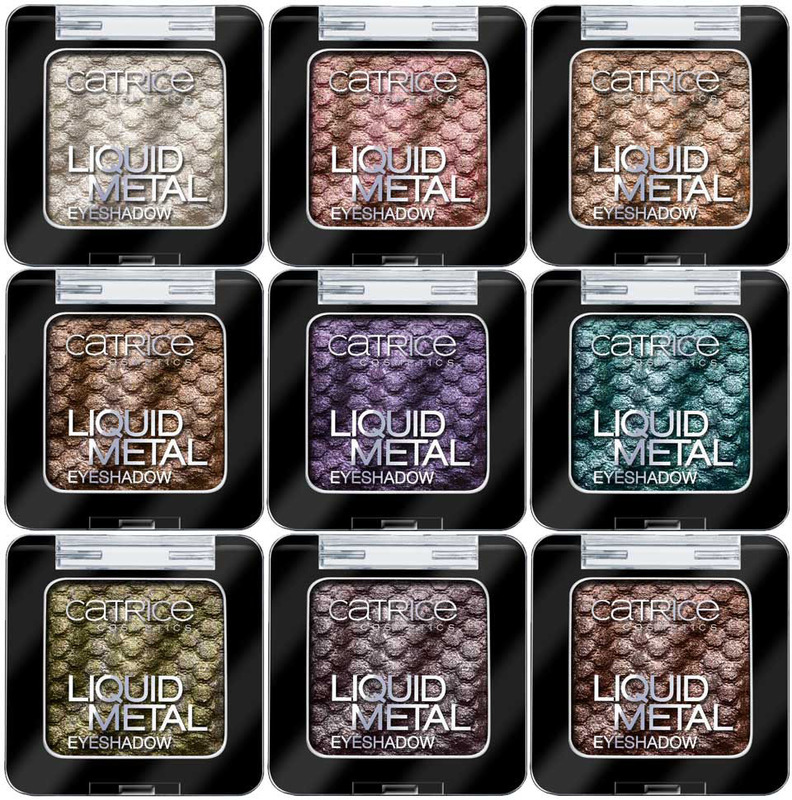 They retail for €25.50 and can be purchased from anywhere that has an IsaDora makeup stand. 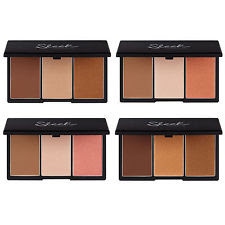 The Sleek Face Form palettes are very similar to the IsaDora Face Sculptors but are just half the price at €12.99. The Sleek Face Form also contains a bronzer, highlighter and a blush so you get plenty of product for your money. The Sleek Face Form can be bought from a lot of pharmacies that stock Sleek MakeUp or you can buy them online here from Cloud10Beauty. All things glittery and sparkly seem to be another trend for Autumn/Winter 2015. Whether it be a shiny lip, metallic eyes or pretty highlight.. there are so many different ways you can pull off this trend this season. As a massive fan of a matte lipstick it's safe to say I'm not impressed at the fact that lipgloss seems to be having a comeback. I don't love lipgloss but I don't hate it either. When I choose to wear a lipgloss I use the NYX Butter Gloss' because they feel good on your lips, they're super pigmented and of course they smell pretty good too! 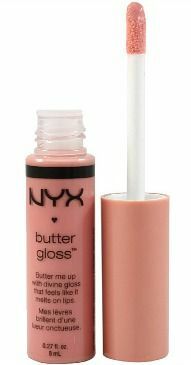 The NYX Butter Gloss' aren't your typical sticky lipgloss, instead they're soft and silky on your lips and look great both on their own or paired with your favourite lipstick. NYX Butter Gloss' retail for around €6.50 and you can buy them from any pharmacy that has a NYX makeup stand or you can buy them online from Simply Foxy here. Metallic eyes seem to be another big trend this season.. be it metallic eyeliner or eyeshadow there's loads of different ways you can pull off this trend. 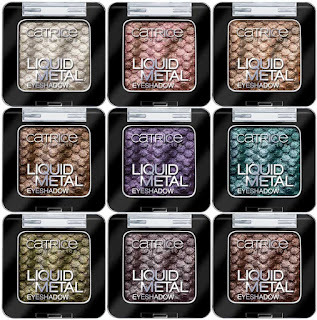 The Catrice Liquid Metal Eyeshadows are beautiful and metallic shades that are super pigmented and oh so affordable. You can purchase them in a range of colours from gold and silver to green and blue, there's bound to be a colour you love. 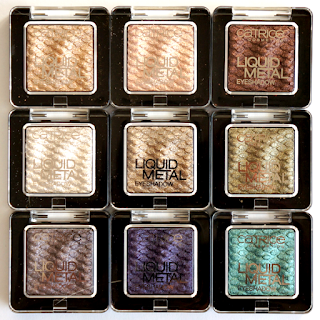 These eyeshadows range for around €5.00 but are totally worth it. You can buy them from Simply Foxy here. A product that I tried and tested was the Absolute Shimmer Eyeliner. 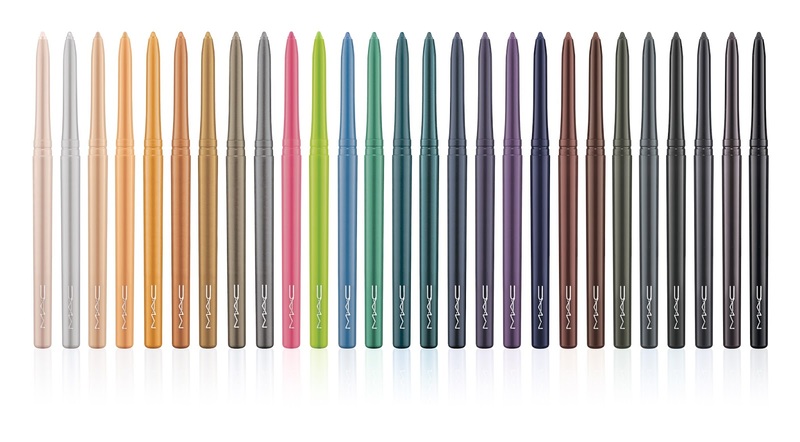 These eyeliners come with a thin foam tip so they're extremely easy to apply. 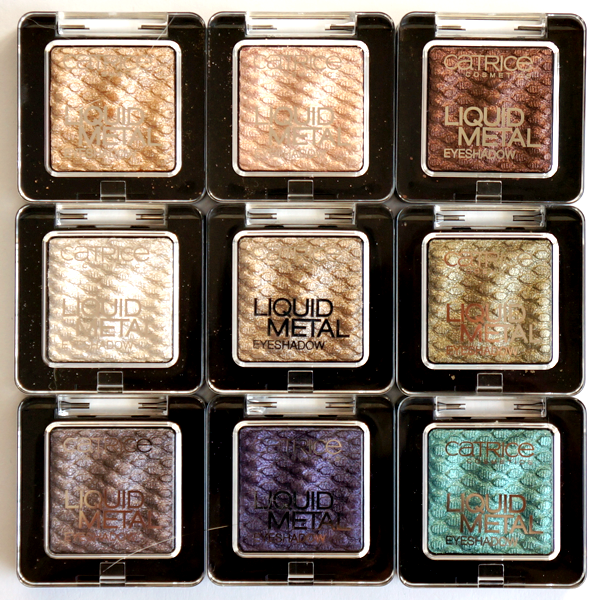 There's 12 metallic and 2 matte shades to choose from so you're bound to find an eyeliner you like. 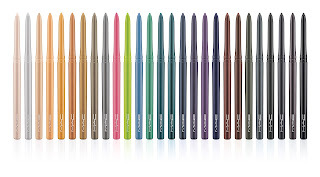 These are also great for adding a pop of colour to any eye look and they're so affordable too! 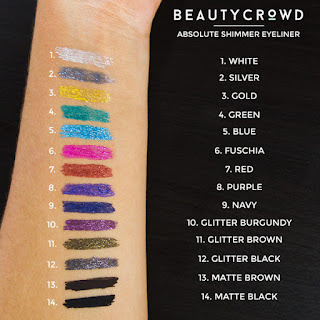 You can get them from Beauty Crowd here for just €5.41. Eyeliner is back in a big way. Whether you like to smudge it out, wear it winged so big you could fly away or just a small bit on your waterline. There's going to be a style for you. On days when I'm in a rush I'll wear eyliner on it's own without full eyemakeup.. below are some of my favourites. 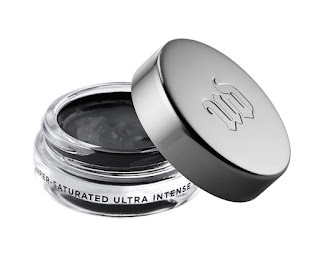 Whenever I want to use a cream or a gel eyeliner the Urban Decay Super Saturated Cream eyeliner is my go to liner. This eyeliner lasts ages on your eyes and doesn't crease one bit. It also contains triple black pigments so you get the most intense black colour you could wish for. 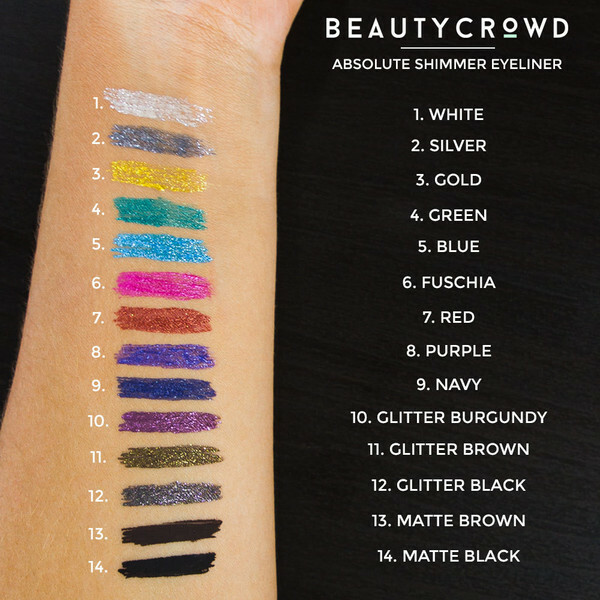 This eyeliner can be used for winged liner, it's also extremely easy to smudge and you can also use it on your waterline. This product is extremely versatile and such good quality too! You can purchase it from Urban Decay at Debenhams here for €22.00. If I'm in a rush but still want to do winged liner I'll use the Natural Collection Liquid Liner. I was never good at applying winged liner.. until I bought this one. The brush applicator is so thin so you can easily correct any mistakes that you make. 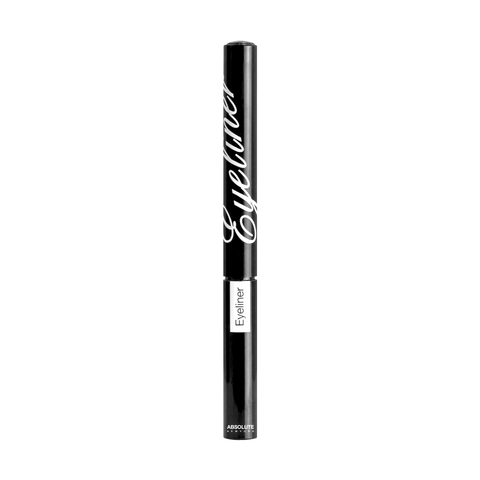 The formula is also great and quick drying so you don't get eyeliner absolutely everywhere. But the main thing I love about this liquid liner is how cheap it is! The Natural Collection can be bought in store at Boots (unfortunately the liquid eyeliner cannot be purchased on their site) but it retails in store for about €2.50. Whenever I'm using a pencil liner I'll use MAC Technakohl Liner in the shade Graphblack. The formula is nice and creamy so it's easy to blend, it has great staying power and it's so pigmented. It's a bit more on the pricey side at €18.00 from Brown Thomas but a little goes a long way with this product and it lasts ages! You can buy it from Brown Thomas here. Anyone that knows me will know that berry lipsticks are my absolute favourite shades to wear and there's no doubting that I'm happy that berry lips are back for Autumn/Winter! Here are some of my favourite berry/plum lip colours..
Nobody can speak in a negative way about this lipstick around me. This is one of my all time favourite lipsticks. 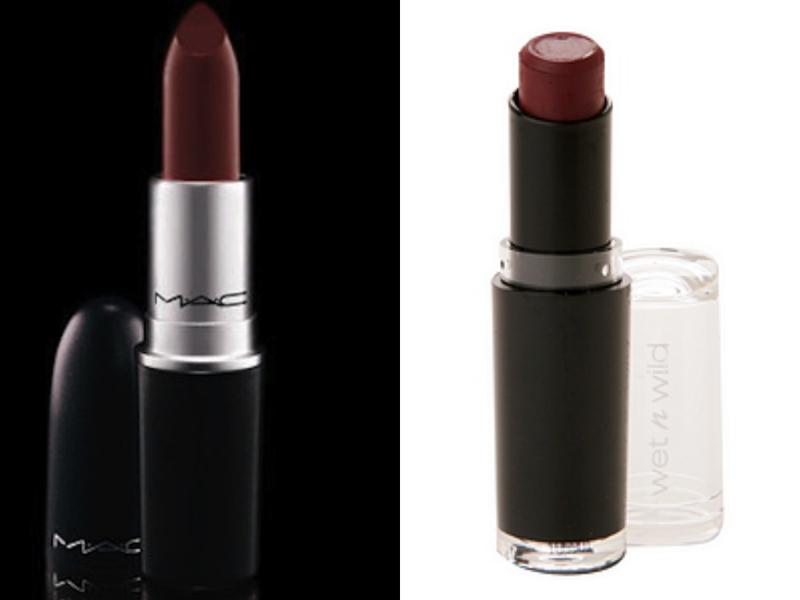 Cherry Bomb is a beautiful dark, cherry red colour that I think suits almost every skin tone. It's a matte lipstick but it's not drying on the lips and doesn't look too dry on the lips either. This lipstick in my opinion looks gorgeous at any time of the year but because it's in season now.. it's obviously going to be my number one lipstick! 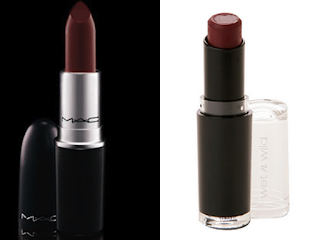 Did I also mention that it's a dupe for MAC Diva? Wet n Wild can be purchased from some Dunnes Stores and Penneys stores as well as in certain pharmacies. The Wet n Wild megalast lipsticks retail for only €2.99 and well.. who doesn't love a bargain? I only got this lipstick this week and I'm already in love with it. It's such a nice berry, purple colour and it's pretty reasonable at only €6.99 from Boots. This lipstick feels creamy on the lips and since when do Rimmel lipsticks smell so good?!? Boots are also doing a buy one get 1 half price on selected lipsticks and nail polish at the moment too! 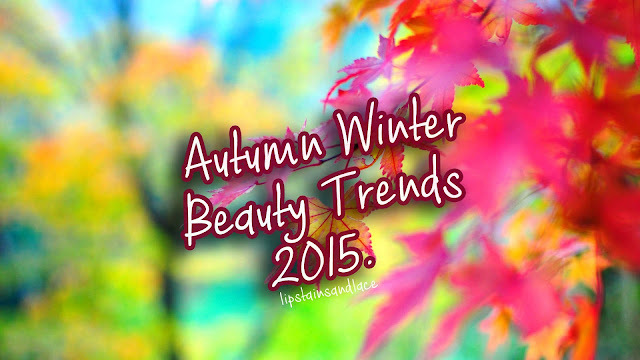 So that's all for my Autumn/Winter Beauty Trends 2015, I hope you enjoyed it and thank's for reading! Thumbnail image background source: 7-themes.com.